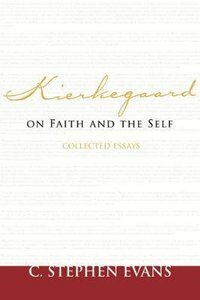 Kierkegaard on Faith and the Self represents a rich collection of studies that allow Søren Kierkegaard to speak directly to the questions of contemporary readers. Evans analyzes Kierkegaard as a philosopher, his perspectives on faith, reason, and epistemology, his ethics, and Kierkegaard's view of the self. Evans makes a strong case that Kierkegaard has something crucial to say to the Christian church as a philosopher and something equally crucial to say to the philosophical world as a Christian believer. About "Kierkegaard on Faith and the Self: Collected Essays"
C. Stephen Evans (Ph.D., Yale University) is Distinguished University Professor of Philosophy and the Humanities at Baylor University. He previously taught in the philosophy departments at Calvin College, St. Olaf College and Wheaton College. 5 Kierkegaard's View Of Humor: Must Christians Always Be Solemn? 17 Does Kierkegaard Think Beliefs Can Be Directly Willed? 19 Where Can Kierkegaard Take Us?